A complete and seamless salon management solution packed with advanced features to help you deliver a memorable experience at your spa. 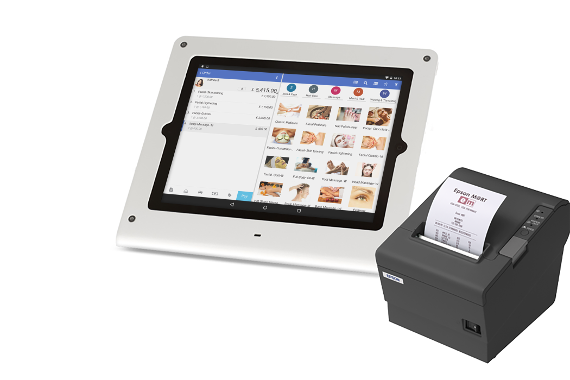 Our solution includes mobile POS with consumable inventory, membership program, customer appointment app, spa appointment manager, stylist performance and schedule planning, customer feedback and much more. The best part is that all these products are seamlessly integrated and work like one single unit. 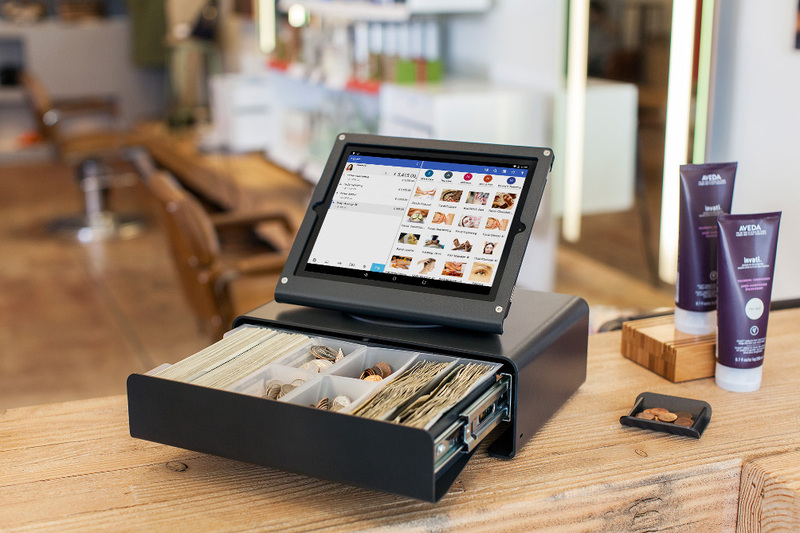 Eliminate legacy POS solutions and bring the new age POS system to your business. 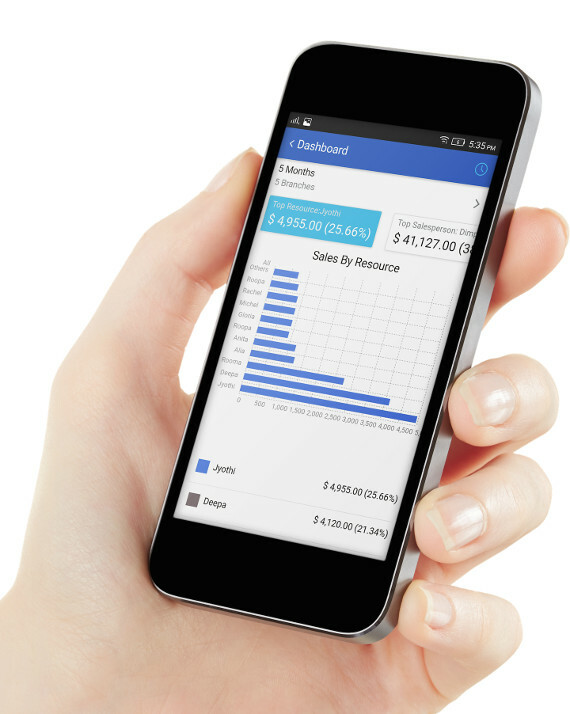 Rista Sales is intuitive, easy to use and requires no training. 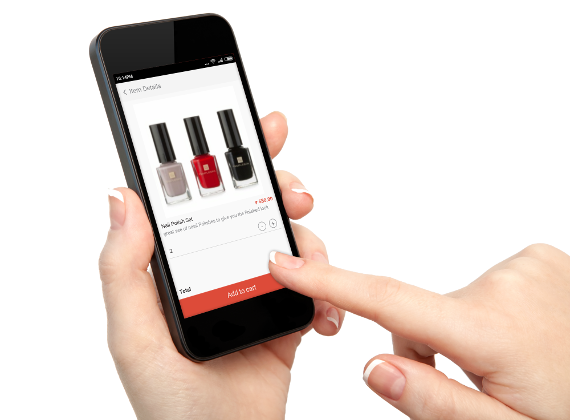 You can run your salon paperless by sending your customers digital receipts by SMS, Email or via Rista Market app. Furthermore, it will save your business a significant cost of PC hardware, servers, annual maintenance and IT support. The smart inventory lets you track the consumable used to perform a service. Whenever a service is performed, the defined amount of consumable material used to perform that service will get automatically deducted from the inventory. 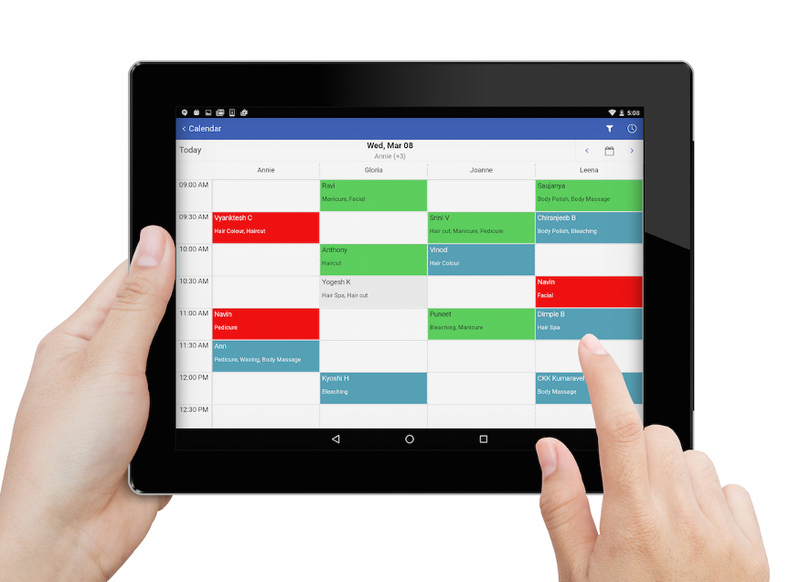 One point calendar for managing all appointments made via mobile app, phone or walk-ins. 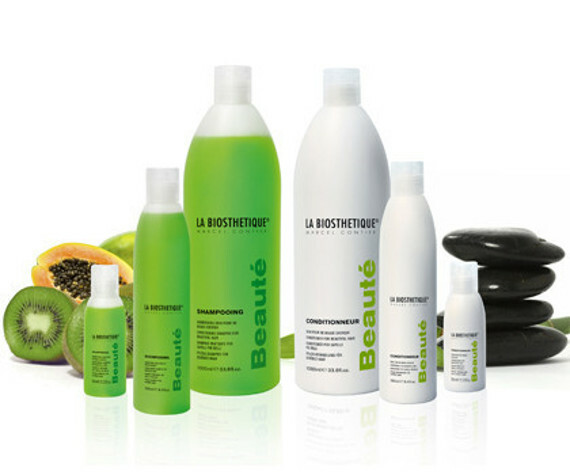 Review the stylists daily schedule and assign them the appointments based on their availability. Being on cloud will keep your appointment calendar for each stylist up to date avoiding any overbooking. 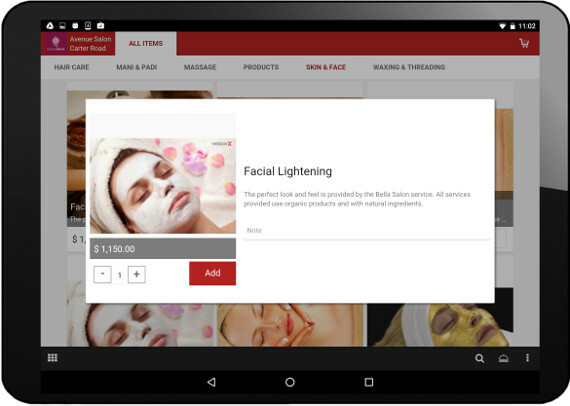 Now you can showcase the services you offer on a digital catalog. Customer can view images of services offered, read the details and can even build their cart with the services they want. The services in the cart will automatically creates a pre-order in your POS system which can be edited or approved as needed to generate the final invoice. Create your own survey with ratings system according to specific requirements relating to the products and services offered by your business.Offer customers tablets to receive their feedback. Or send them a live link on their mobile phones to fill out the survey. Perform analysis on the customer’s feedback to improve service or incorporate suggestions. Sell more, sell better by bundling your services in packages. Furthermore, assign the validity period to speed up the redemption for faster sale. The system keeps track of each service redemption as customer avail the service and sends the update to the customer on remaining services left in the package. 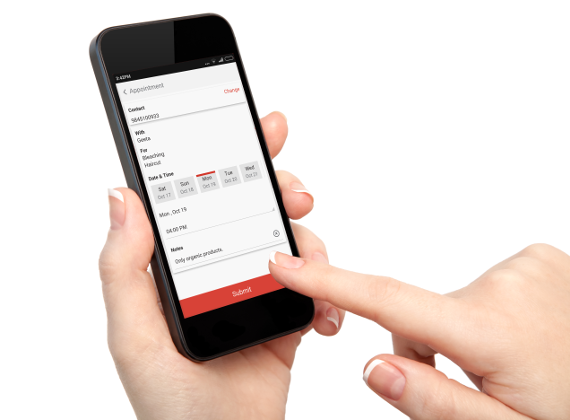 Customers can use their mobile to book appointments at your salon anytime of the day, from anywhere. 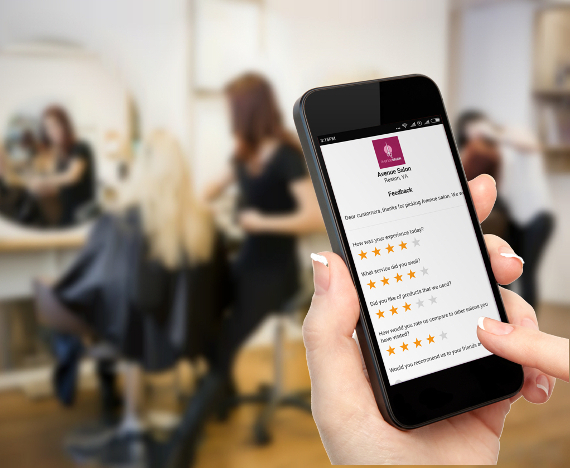 Customers can locate nearby salon centers, view the services offered, pick a stylist and make the appointment using their mobile phones. Business have option to review the appointment request and send confirmation or reminders to customers by mobile push notification or SMS. Each service availed by customer can be tagged to the stylist who performed it. So that you can track the performance of each stylist by looking at the revenue generated by them. Rista offers a unique way to manage your field crew with their daily appointments. Assign a Live Link for each field crew and they can access and see their daily appointments with customer information in real-time with a simple tap on their mobile phones. Create a central membership programs for your enterprise which can be implemented at all outlets. As a customer become member, you can tag them with membership number. Whenever a member avail services at one of your outlet, you can verify the membership status and apply discounts accordingly. 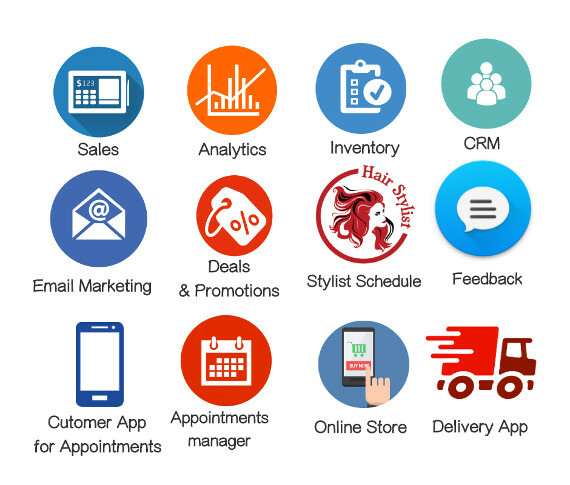 Our unique platform offers you a mobile-front for every outlet of your salon enterprise. So that you can sell your products or services online. Customers can find the nearby outlet to buy any products or services using their mobile phones. Build relationship with customers by identifying repeat customers and delivering them extra attention. With Rista Sales, you can record customer information and purchase history so that you can send customized and targeted deals based on their service history. Advertising your business on Rista Market to build your brand, and acquire new customers. You can create deals and other marketing campaigns with simple taps and publish them at Rista Market. 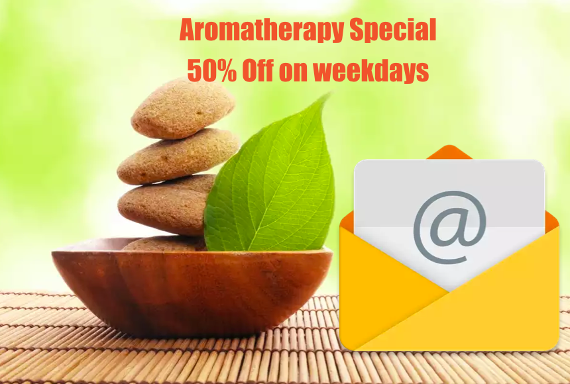 The customer will automatically see the deals when they are near or at your outlet. 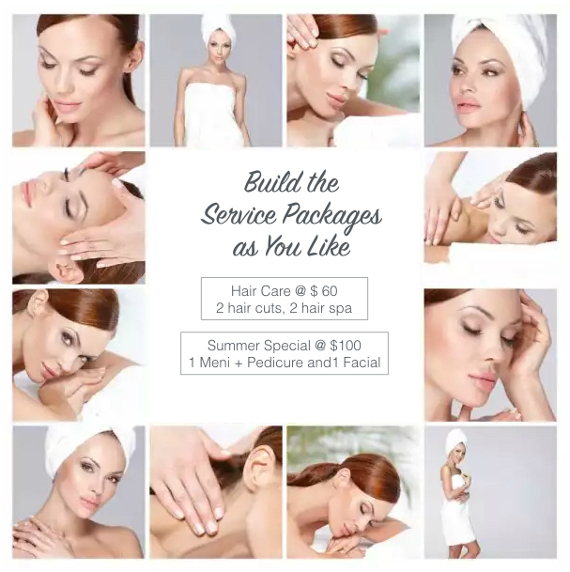 Fully integrated email marketing tool to send beautiful marketing emails with images of your salon and services to your customers. 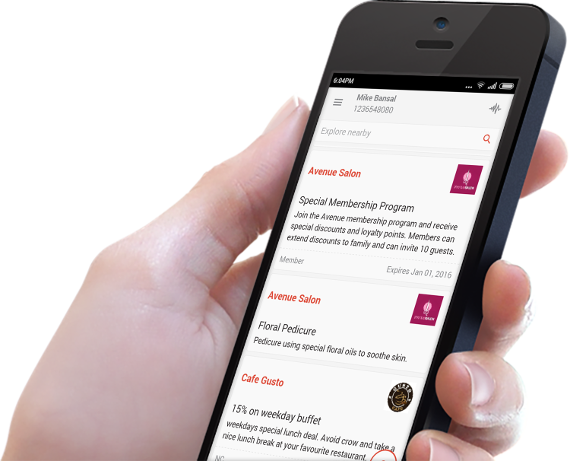 Send newsletters, promotional emails, new service offerings or special event invitations.